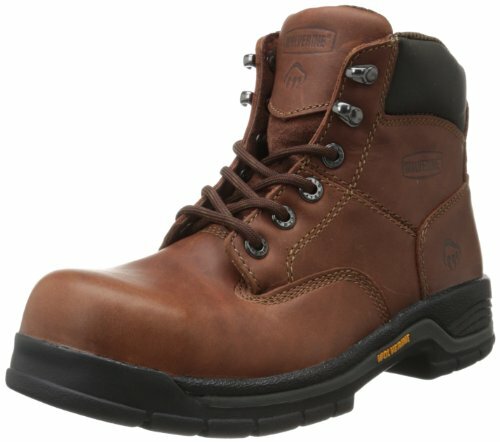 Looking For Most Comfortable Work Boots? Here Is An Intensive List For Both Men And Women. Just Pick And Enjoy. Let's face this. You are for a few hours into your shift and it starts hurting your feet and that happens every day. Reason being, ignoring the importance of comfort while buying a pair of work boots. Although in any work environment, where a dedicated work boots are mandatory, you must look for some sneakers that are designed for the safety purpose yet they should not hurt your feet. Finding such footwear could be a daunting task. 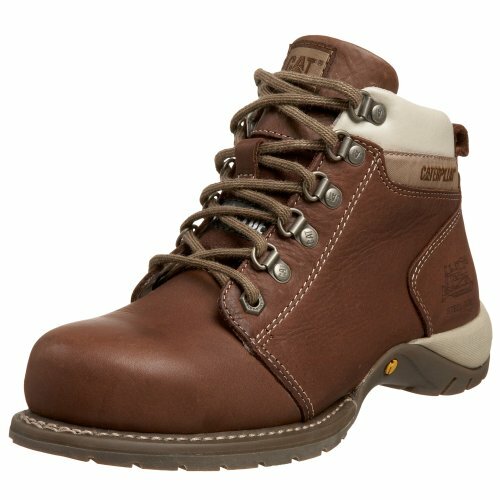 It inspired me to pick and list out some of the most comfortable boots that adhere to the strict safety standards. Here we go. Injuries, broken bones, sprains, etc. occur if the boot is not designed for the safety purpose but problems like plantar facile, police foot, flat foot, aches, swelling, etc. happens if the boot is not comfortable. The same can affect your productivity at work. Over the longer period, it can change your posture as well. Fitting: An improper size that is too loose or too tight causes discomfort, rashes, pain and swelling. You must chose a fitting so as there is enough room for the toe to wiggle. The heel counters should fit the back of your feet snugly. Additionally, the pair should have a flat sole and full toe and heel area. For the sake of right fitting, you must try on your shoes in the afternoon as it's the time when our feet are at its largest size. Both of our feet differs in size. So measure them and choose a fitting according to the larger foot. Additionally, do not forget to wear your work socks on before trying the fitting of the boots. Ventilation: No doubt, the leather of the boots must be waterproofed yet it should allow the air to pass through. It should allow an optimum air circulation so as to avoid the conditions like feet sweating that might lead to slippage and fungus infection. In short, the leather should allow air flow through it's porous holes and still being water resistant. The inner walls of the boots should be fluffy so as to retain the fresh air. Weight: The lighter the weight, the more spring you will feel in your feet. The metallic components of boots are responsible for increasing the pounds. So decide according to your work environment that either you need a steel toe, aluminium toe or a composite toe. Steel toe is the heaviest followed by aluminium toe and the composite toe. If your work includes lifting heavy objects, only then go for a metatarsal guard otherwise avoid it as it adds to the weight of the footwear. Insulation: If you work in some cold regions, choose a pair with insulation leather. 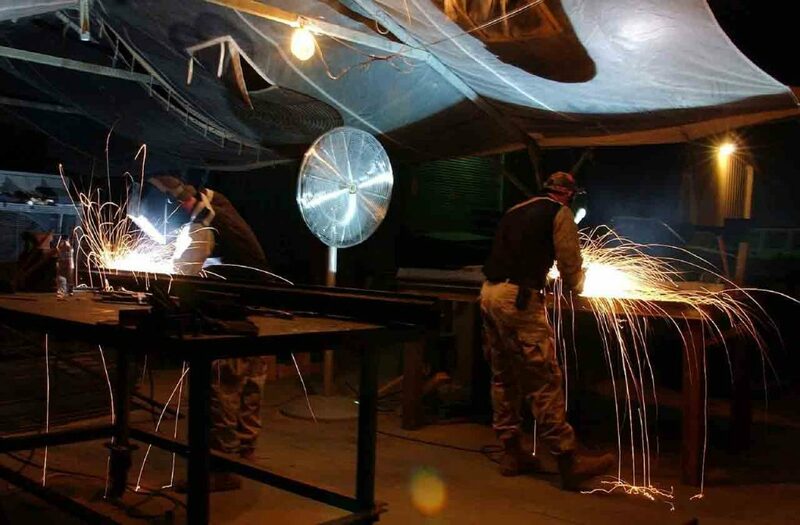 It allows you to work at -30-degree temperature. On the other hand, keep in mind, such shoes are not good to work in warmer environment or summer season. Toe Selection: Choose a toe type according to your work environment and the surrounding weather. 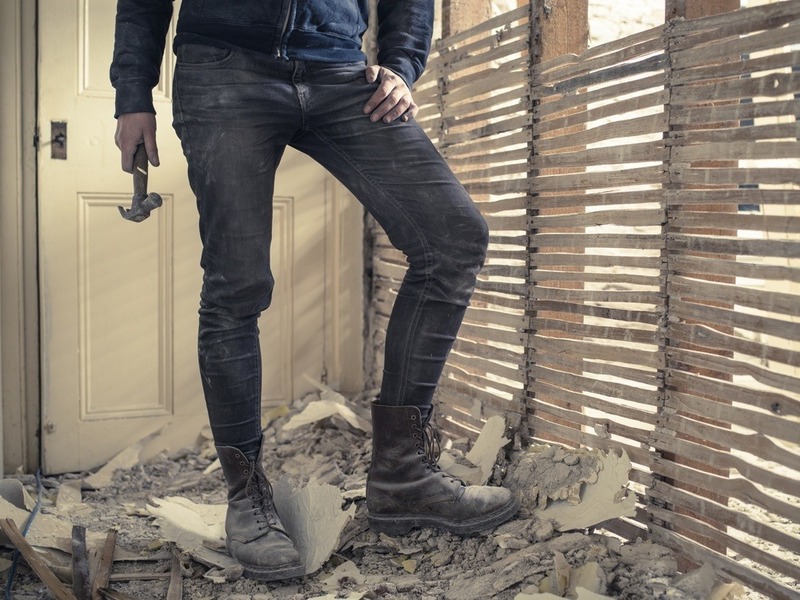 If your work needs a lot of scanning, then avoid wearing a steel toe sho﻿﻿e﻿﻿s as they are caught in the metal detector. On the other hand, steel toe is a conductor and can get very cool very quickly in chilly weather. Prefer a composite toe in such scenarios. Fatigue: Longer working hours and a hard boot can expose your feet to fatigue so the shoes must have enough cushioning. For a comfortable boot, the inner walls of the boots should be soft & fluffy with a soft & thick inner sole that is designed with anti-fatigue standards. As an additional tip, I would suggest replacing the inner sole every six months as they are flattened and dead and don't provide enough support and cushion to the foot. Support: I do not favour the under-ankle boots. 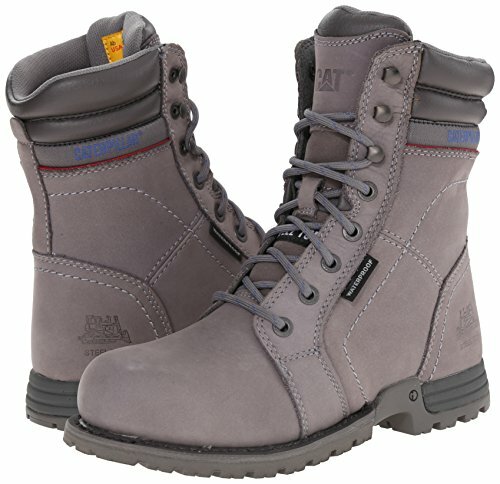 The most comfortable work boots should hug your feet, including the ankle area, warmly without straining them. It must cover the feet and the ankles firmly so as no debris gets into the boots. Additionally, do not choose boots with a high heel if you are in a job where you need to stay standing for longer hours. In such case, the heel puts constant pressure on the feet and you might get the plantar foot disease. The inner side of the shoe must be straight from the heel to the end of the big toe. 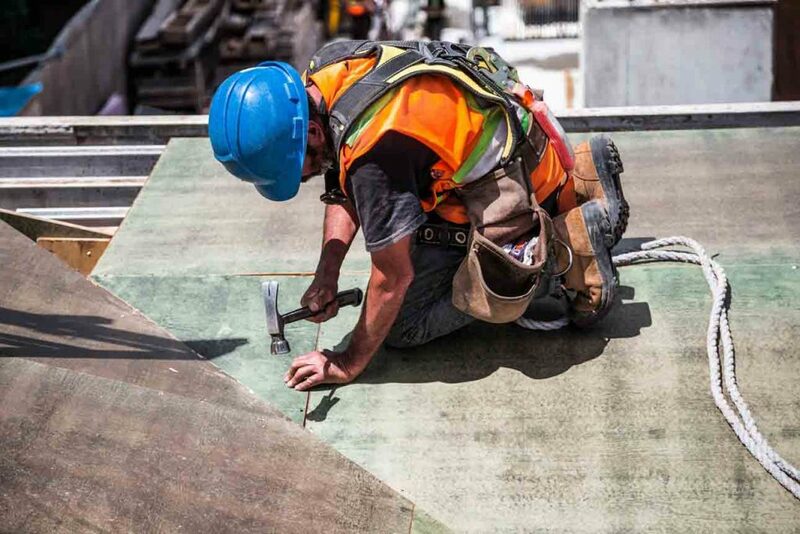 Consider using some shock-absorbing insoles where the job requires walking or standing on the hard surfaces like concrete or cemented floors. Slippage: Water and oil spillage is common in any workplace. You might get some significant injuries in case you slip. It may lead to fractures and sprains. 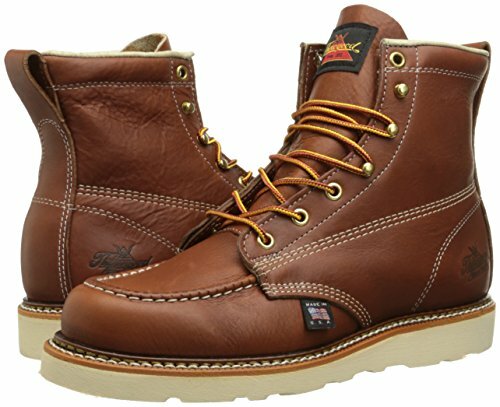 I suggest a boot with a rubber sole as it is water and oil slip-resistant and lightweight & flexible as well. 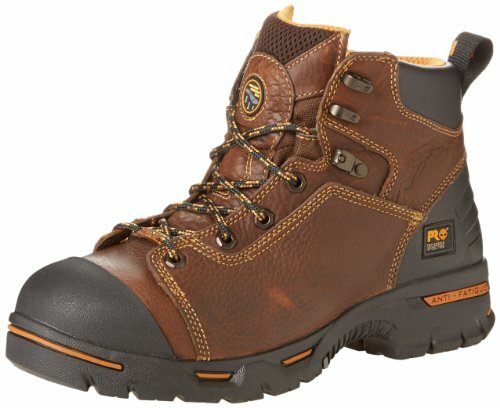 I don't want to leave you alone at this point so I hand-picked some boots that are designed for comfort yet doesn't compromise on the safety standards. Just pick any and you will be okay. Top in our list, the shoe is a great cross between the comfort and safety. It's composite toe gives it a sturdy front, the fabricated rubber sole avoids any slippage condition and the broad front and heel area makes it extra comfortable. The adequate height covers the ankles and provides enough support. The rugged metal eyelet avoids any debris to get into the boots. What I like the most is its breaking in period. It takes just a few hours for your foot to break into the new pair and adjust accordingly that makes it ready, for an optimal experience, from the day one. The only disadvantage is that the pair is not waterproofed and you might have to give it a wax treatment to make it so. 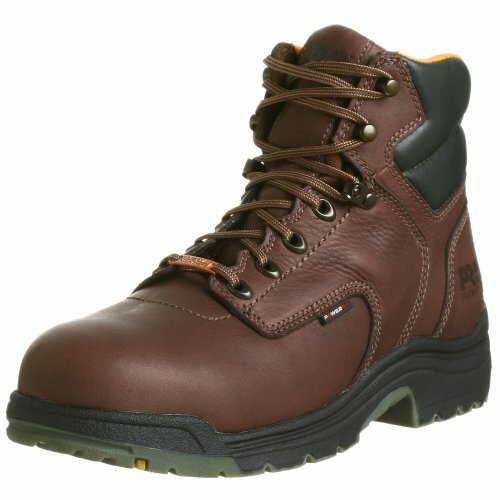 A waterproof pair of boots that is insulated with Thermoline making it a warm and comfortable pair. The mesh inner lining got a special anti-microbial treatment that controls any fungus and odour production. It's anti-slip rubber sole makes it an ideal selection for the slippery workspaces and it's flexible midsole provides enough swing. The boots are made up of grained leather that reduces the break in period and provides extra comfort. The boot itself is waterproofed and the sole is seam-joined that resists water even if dipped in a puddle. The hexagonal eyelets give the boot a masculine look. Another great pair of boots. It claims durability and the comfort at the same time. A grained leather is used to make the upper of the boots. The rubber sole provides a stable grip and a Polyurethane mid-sole provides extra cushioning. The sole, the midsole and the leather all are water-resistant. The inner mesh keeps the temperature under control, prevents microbial infections and remove any odours. The sole is shock-proof and can tolerate heavy jerks. 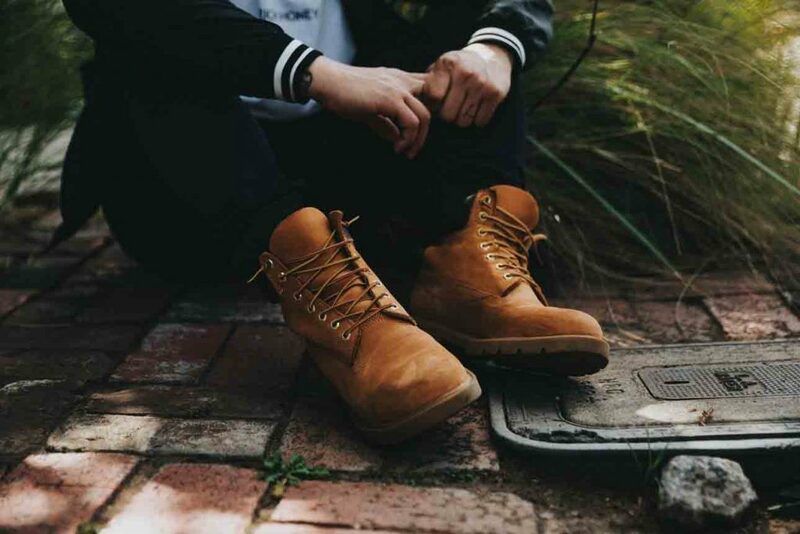 Moreover, Timberland is the name that you can trust on. Lightweight, durable and flexible design. Almost a no brainer. The manufacturer is so confident about its comfort and durability that he provides the buyers with a 30 days money back satisfaction guarantee. That means if you try the pair on and, within 30 days, doesn't find it to be comfortable for you, you can just return it. No question would be asked as long you have the bill-receipt. This “Endurance” model is made keeping those workers in mind who are on their foot for a longer period. Such workers get more injuries from the boot discomfort than the boot's lack of protection. If your work demands a lot of standing or walking, then you must not look past this pair. 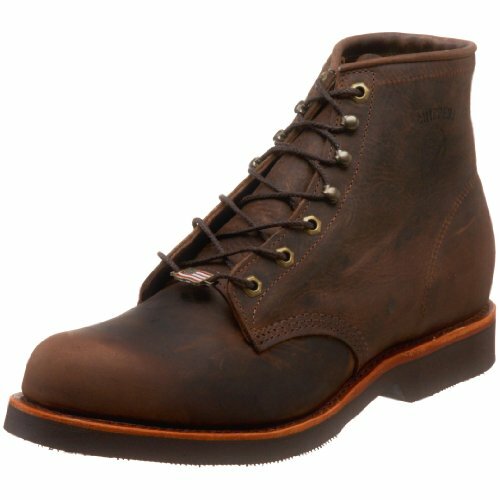 The 30-Days money back guarantee adds another stamp to the quality of the boots and objective of the manufacturer. The boots are made up of grained leather that is hand rugged giving it a visually pleasing look and flexibility. The sole is anti-slip rubber that is also puncture resistant and electric shock-proof. An advanced Anti-Fatigue technology is used to avoid any feet sweating or any fungus or odour production. As a disadvantage, no doubt the boots are safe and comfortable but are not much durable. You might have to change the pair every year. It is a hand-crafted pair of boots. The leather is grained but hand-rugged to give it a classic look. The look of the product makes it damn masculine and could soon become your favourite. It is designed and manufactured in the USA keeping the high safety standards and high comfort standards in mind. The sole is made up of Vibram that is anti-slip and anti-electric. Fully waterproofed with a laced up appearance for a complete feet protection and comfort. As a disadvantage, I must mention, the Vibram sole is not much durable. If you are in a heavy duty job the bottom may tear apart soon, that is irreparable. You might end up changing your pair each year. But it is an extra comfortable pair with an eye-catching look and shape. This one is a good purchase if you are looking for a wide toe boot. The temperature inside the boots remains cool even during the summer season. The inner footbed is PU insole that is extra comfortable. The upper is made up of grainy leather and the toe area uses the composite toe taht makes it a good mix of safety and comfort. The sole is made up of flexible rubber with anti-electric nature. Not only the sole is anti-water and anti-oil, but it is anti-acidic as well so the pair fits those women who work in a chemical facility. As a disadvantage, if you are looking for a water-proof pair then don't buy this pair and keep looking as it needs some wax treatment to make it waterproofed. A steel toe pair of boots. Not suitable for cold regions but if you are working in some ground areas no doubt it's an excellent choice. It's a real waterproof product. Not only the nubuck upper is water-resistant but the seam joining is also specially treated so as the water doesn't reach to the feet. The longer collar length provides extra support for the legs and prevents water splashed entering the inner of the boots. The sole is anti-slip and anti-electric rubber made. The sole is wedged to provide it with some extra grip. The upper is hand-rugged that gives it an eye-catching appearance. Able to absorb massive jerks and keep the feet safe. As a disadvantage, the pair is a little heavier and can't be your choice if you are looking for some extra lite boots. Otherwise, the product is very comfortable and worth giving a try. A flat sole boots without any heel. The boots are straight from heel to toe from the inside making it extremely comfortable. The synthetic sole is anti-slippery but doesn't last for more than a year. The extra collar height gives a firm support to the ankle while allowing it for free movements. The leather is waterproofed and tobacco-oil tanned that gives it an extra shine. Thorogood is a trusted brand and has a track record of satisfied customers. The boots are shock absorbent and a good fit for standing or walking on hard surfaces. As a disadvantage, some slippery moments have been reported while walking on the tile floor and oily surfaces. Although these are rare yet you can paste a slip pad on the sole. The overall weight of the pair is just 6 pounds that allow free swings. These boots have the toughness of a work boot and the comfort of an athletic sneaker. 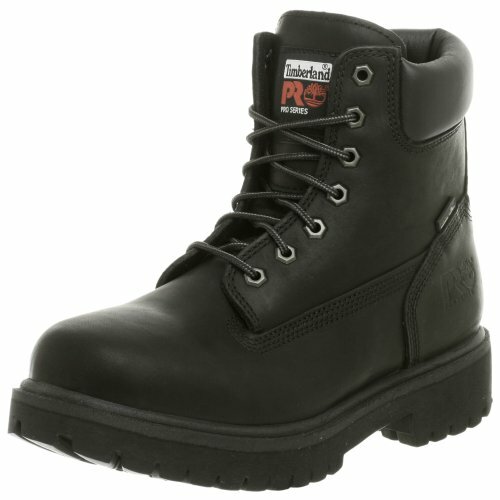 Highly durable yet comfortable design engineered for those who spend longer hours on work site. The boots are designed with grainy leather and an ortho-lite inner bed for controlling the temperature and odour. Very much visually appealing. The look and appearance suit to the feminine gender. Made up of anti-slip rubber sole that is ribbed for extra grip. The wider toe and heel area makes it an extra wide design. I could not found any serious con of the pair and designate it as a wise choice. The conclusion is obvious. 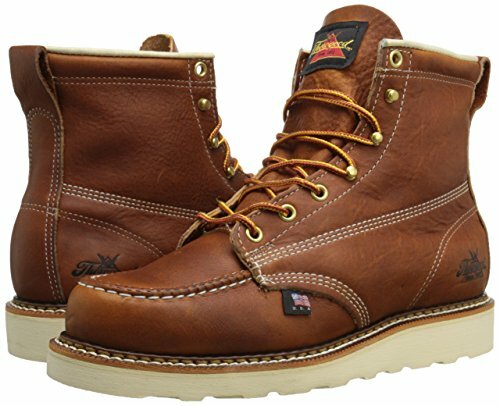 No doubt you need a safe pair for your work environment yet it should be the most comfortable work boot so as to avoid any off-work injuries. If your feet feel any discomfort with your current shoes, they will soon get some serious internal aches and deformation. Most of the time, these deformations are irreversible so the prevention is better than the cure. The products mentioned above are picked after a deep research. The research was not made for the product only but the history and track record of the brand as well. They all have been selected after passing through a strict criteria. You can pick any of them according to your personal preference and budget. But I suggest, do not pick a shoe for it's low cost. Afterall, it's all about your health and safety. Hope that helped.